Have you ever seen Nicolas Cage and Billy Hunter in the same room at the same time? Exactly. 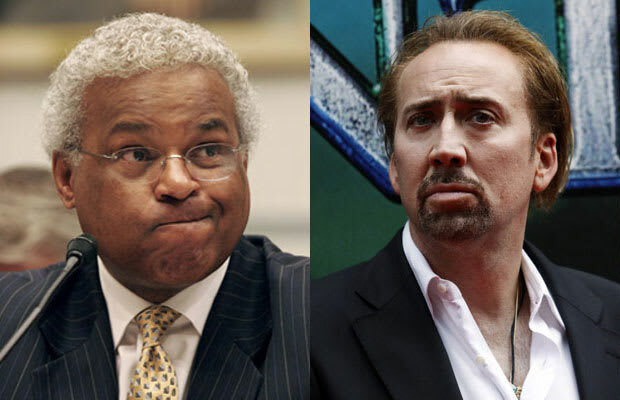 Like Nicolas Cage's acting skills, I have no clue what to make of Billy Hunter. None. Hear me out: Wasn't Nicolas Cage brilliant in Leaving Las Vegas and Adaptation? But then what the hell was he thinking when he made Bad Lieutenant: Port of Call New Orleans? Or, Season of the Witch? In regards to Billy Hunter, there are days when he seems intelligent and fights justly for a fair deal for all NBA players, but then there are times when he seems selfishly power-hungry. If Hunter continues to follow the course of the enigma that is Nicolas Cage, it certainly doesn't bode well; one of Cage's upcoming films is The Frozen Ground...produced by revolutionary filmmaker, 50 Cent.